Jermaine Jackson told the Daily Mail that a number of family members have been trying to get information about Joe’s condition. “No one knew what was going on—we shouldn’t have to beg, plead and argue to see our own father, especially at a time like this,” he said. “We have been hurting. We were not being told where he was and couldn’t get the full picture. Even from the doctor. My mother was worried sick. “He’s very very frail; he doesn’t have long. 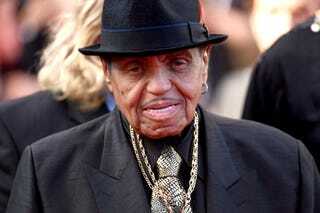 The family needs to be by his bedside—that’s our only intention in his final days,” Jermaine added. The Daily Mail reports that Joe requested in a recorded phone message that his family members and other visitors not see him or his medical records.